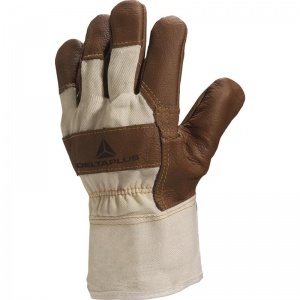 Designed to keep your hands shielded from abrasions, cuts, tears and scratches, the Delta Plus DR605 White Cloth Leather Grain Work Gloves feature a canvas back with leather reinforcement, as well as a reinforced canvas cuff, ensuring the resilience, durability and resistance of these glove even after extensive use. 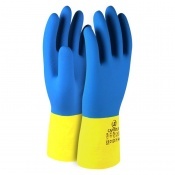 While the strong leather shell protects from mechanical injuries, the soft cotton inside keeps your hands comfortable at all times. The premium grade leather and reinforced palms, fingers and thumbs, combined with a protective longer cuff, make the DR605 White Cloth Leather Grain Work Gloves especially suitable for building, construction work, and civil engineering. 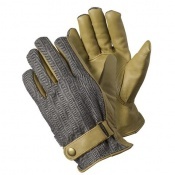 The DR605 Leather Grain Work Gloves are available in one adult size. Please consult the table below for more details.